Samsung Galaxy A70: Samsung Galaxy A70 has been launched in India with a lot of latest features and upgrades. The Samsung Galaxy A70 features a triple rear camera setup and with a good battery backup of 4500mAh. 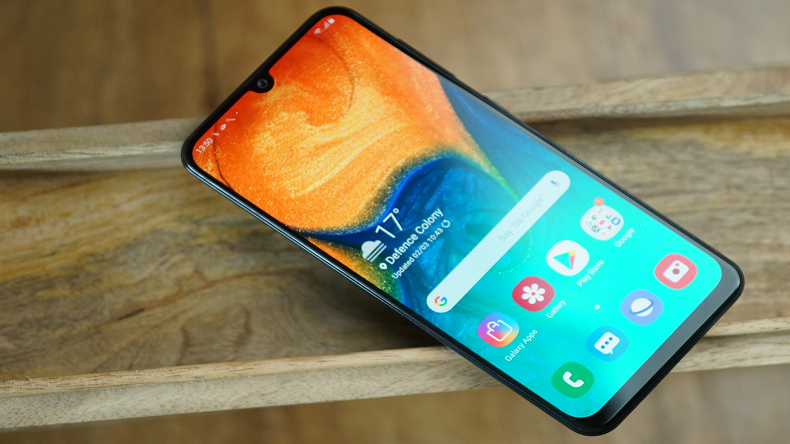 Samsung Galaxy A70: The Samsung Galaxy A70 made its global debut at the company’s ‘A Galaxy’ event in Bangkok on April 10 and today this new smartphone has been launched in India. Simultaneously, the company also announced that Samsung Galaxy A80 will be available in the Indian market by the second financial quarter of 2019. The Samsung Galaxy A70 comes with a 6.7-inch Infinity U display, triple rear camera setup, in-display fingerprint sensor and a 4500 mAh battery with 25W super fast charging support. The previously launched smartphones of Samsung A series were priced between the range of Rs 10,000 to Rs 30,000 so, the base variant of Galaxy A70 including 6GB RAM along with 128 GB internal storage will be available at a price of Rs 28,990. Samsung Galaxy A70 will be available for pre-booking from April 20 to April 30, 2019. The customers who will go for pre-ordering the smartphone can buy the Samsung U Flex Bluetooth headset just at Rs 999 instead of Rs 3,799 as an introductory offer. From May 1 onwards, the Samsung Galaxy A70 will be available in retail stores, Samsung online shop, Samsung Opera House and Flipkart. The phone comes with gentle colours like black, blue and white with a glass prism effect. The phone is powered by the Qualcomm Snapdragon 675 processor. The smartphone runs on Android Pie with One UI on top. The internal storage of the phone is expandable up to 512GB via a microSD card slot. The phone also supports facial recognition for authentication and security purposes. The phone features a triple rear camera setup consisting of a 32- megapixel primary camera, 8-megapixel secondary camera and a 5-megapixel depth sensor. The Galaxy A70 also has a selfie camera of 32-megapixel with selfie focus feature. The company also stated that the phone supports Widevine L1 certification to provide HD video streaming while on-to-go. The phone also offered its Samsung Pay app for easy and hassle-free transactions.